I will likely be one of the few local teens participating in our American democracy on Tuesday. The voter turnout of our nation’s youth has historically been lower than any other age group. It seems ironic that those in this cluster, who have nearly their entire lives ahead of them, should choose to leave their future in the hands of their elders. Considering that many young people continually choose not to vote, high schools should further their efforts to remind students of this principle. Teachers have been emphasizing the importance of voting at the West Bend High Schools, where students are required to take a government class in order to graduate. In my Advanced Placement U.S. Government and Politics course, for example, we learn about the expansive web of government and how it plays a role in our lives. Essentially, any student taking that class should realize just how imperative it is to participate in government. Additionally, a voter registration drive was also held at WBHS March 12, which provided eligible teens like myself the chance to register during any lunch period. Fliers were hung up around the school and announcements were given to promote the event. Despite all of that, many of my peers do not seem to realize the weight of this democratic privilege. For example, I shared with one of my classmates last week that I had begun a countdown to Election Day. That classmate laughed and admitted that when she turns 18, she will be more concerned about getting a tattoo than voting. Unfortunately, this student is not alone in their viewpoint. Very few of my classmates share my enthusiasm toward interacting with our representative democracy in this way. 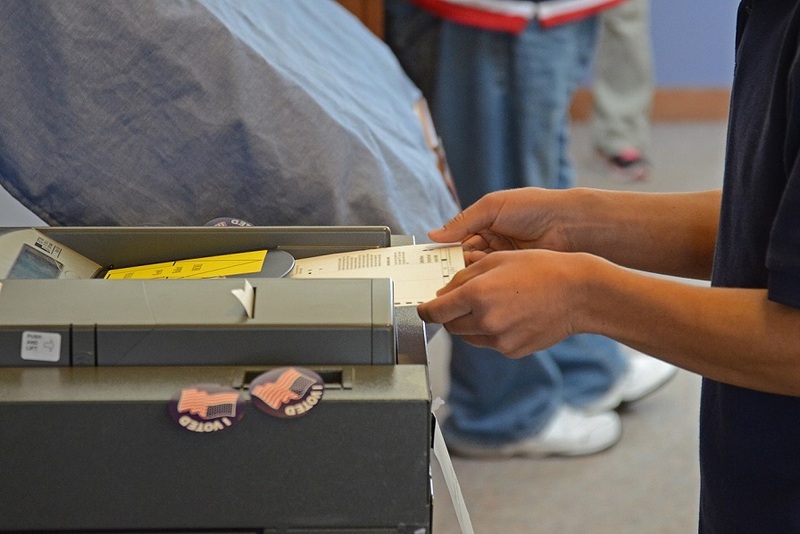 A voter enters their ballot into the polling machine on April 7, 2015 in Columbia, Mo. Image used with permission via Wikimedia Commons. That might be in part due to a common feeling that an individual’s vote does not matter. A few years ago, I had thought that way—that my single vote would be worthless when considering the millions of others cast on Election Day. What difference would my vote really make? That thought process soon changed as my education progressed, of course, but it is likely that many young people have a similar way of thinking. They simply do not take our democracy seriously enough. It may thus be necessary to reinforce the importance of voting among high school underclassmen in particular, not just the students that are already eligible to vote. Encouraging this practice outside of government classes, which are typically taken by sophomores and juniors at WBHS, might be key. If the importance of voting and registering to vote is emphasized enough among high school students, they may be more inclined to make those choices once they come of age. Classrooms are intended to be places where children learn how to think and act for themselves, which in turn makes them the ideal setting for discussions on political topics like voting. Therefore, these conversations could ideally fit into a variety of curriculums, like some history or English courses. The upcoming spring election features a run for two open seats on the West Bend School Board. The end result will consequently have an impact on students in the district, and yet the only class that this has come up in so far has been my AP government class. Not every WBHS student is enrolled in a government course this year, so it is important that they receive some sort of exposure to the election from their other classes. This may encourage students to want to learn more about potential candidates. Voter turnout among young people has been on the rise, though, according to a story by Julie Beck and Caroline Kitchener in the Atlantic. This may have contributed to the spike in the general voter turnout at last year’s midterm elections, in which more than 47 percent of eligible voters participated on Election Day. Still, it is unsettling that about half of the able population—millions of Americans—would choose to ignore their constitutional freedom. This only exemplifies the need for voting to be further emphasized in schools. If more young people recognize this importance, they will hopefully carry that idea into future generations—and thus continue to heighten turnout rates. 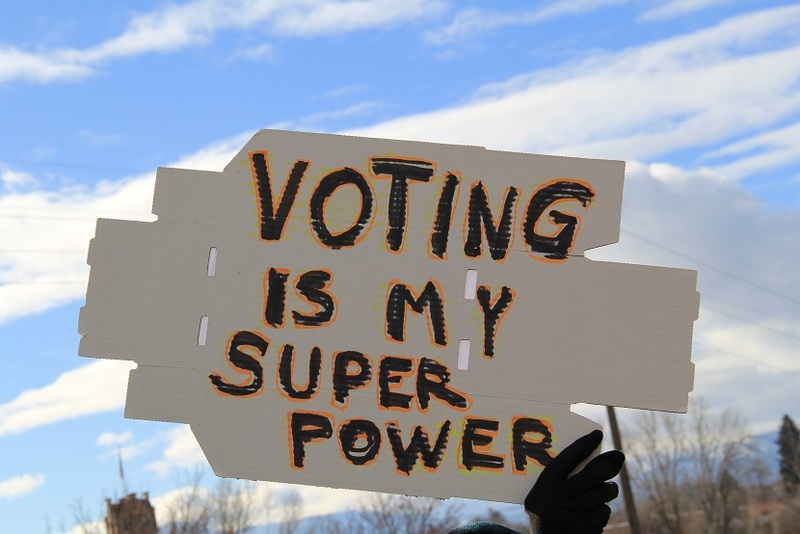 The higher those turnout rates, the stronger and healthier our democracy will likely be. However, young voters also need to be informed. Navigating news sources for quality information is a necessary action before appearing at the polls. This means supporting authentic journalism and avoiding biased swamps that push particular political agendas. My AP government class stresses the value in keeping up with current events, just as my previous social studies courses did. Paying attention to local, national and global events is a crucial responsibility that young people need to continue developing in order to make their vote count. Ultimately, young Americans should remember what has made our country distinctive since its founding nearly two and a half centuries ago: the United States was built on the idea of popular consent, which allows us the freedom to vote. We have a voice when many others in the world do not, and this is not something that should ever be taken for granted, especially by our youth. After all, we will shape and determine the future. If we are not in control, that future may turn out to be a very frightening place. Voting. Such an interesting concept, one necessary in a free country, and filled with possibilities if everyone becomes informed and knows the issues. People reading this should watch the movie “Mr. Smith Goes to Washington.” I really enjoyed this movie, and watching it a second and third time, I realized more the difference of generations. Children today, do not understand (They haven’t learned.) the factors leading to this country, nor the many roads it took. From any real historian, this country was a real miracle. Everything worked against a United States of America. Do students today understand what the pilgrims represented, that a turkey dinner was not the real import? Do students understand, today, those who left Europe and why? I certainly didn’t. My own schools, though tops among countries at the time, did not adequately teach me to understanding. These things I collected, ever so slowly, throughout the years, partly due to classes, partly due to college, partly due to self-research, partly due to documentaries and readings, partly due to talk show hosts, partly due to being in the right place at the right time, and curiosity. The movie, “Last of the Mohicans,” when I found out there was a lot of historical truths, led to further readings. Wow! I thought as I learned. And then, I still will read something, or watch a film, that further raises understanding. This all took decades. Partly due to life’s demands, distractions, and other interests, but I would eventually want to understand more. But when I reflect upon this, I know so much of this I should have known while growing up. But who took the time to explain all this to me? Where was all this information while I was growing up? Why wasn’t the revolutionary war more important for us to understand beyond events and dates? Why didn’t our school show the movie “Mr. Smith Goes to Washington,” such a great film it is? The reason to vote is contained within understanding America. Do kids read and understand the U.S. Constitution? Do they understand the Declaration of Independence? Do they know what the founding fathers, and of course, the many women, did in creating this country? Do they know the sacrifices? Do they understand the underpinnings of the various government structures? Do they know the difference between socialism, communism, and a democratic republic, but also what forces lead to such countries? Do they understand why dictatorships cannot stand alone, actually need democracies, and also why the Soviet Union fell apart? Do they know all this? Do children, today, understand how our government is set up? Do they know what the executive branch, judicial branch, and legislatures all do including their rights and responsibilities? Why did the founding fathers create a government that moved so slowly? And why is it hard, today, for changes to be made? I’ve heard many times before about the import of voting. I have always encouraged our youth to learn, and when old enough, to vote. But how are they to vote if they don’t understand the philosophical and historical reasons our country is framed upon? There’s an old saying: those who forget history are doomed to repeat the mistakes. Are students adequately prepared by understanding history as it happened? Do they seriously contemplate the deep meanings in positions, beliefs, and government structures? Voting isn’t about what’s best for us at the moment only, but what effect it has on the nation as a whole. And this takes time.